Most people use to leave their computers unattended. Who knows how many people want to poke and pry into it. Lock PC Now is an easy in use and compact tool for quick PC locking when you leave it. 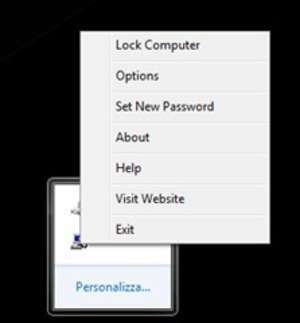 It shows a lock screen, disables Windows hot keys and mouse. For security reasons, you should also check out the Sumra Soft Lock PC Now download at LO4D.com which includes virus and malware tests. Additional screenshots of this application download may be available, too.